Highlander Boats are built by Sandy & Ian Simpson and the team at their premises in Tayport in Fife. Located on the banks of the River Tay on the East Coast of Scotland. 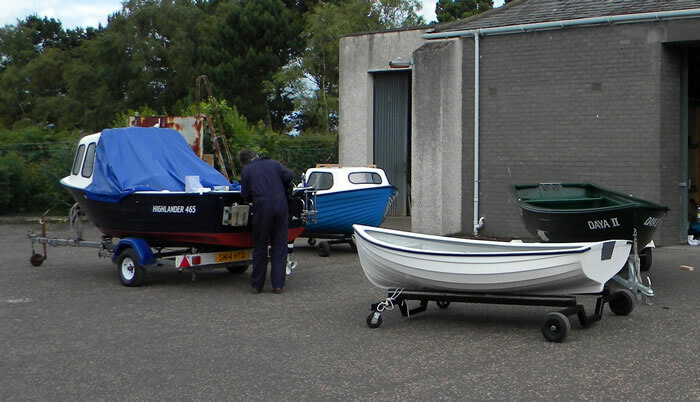 Sandy and Ian have been building boats for over 25 years, with the current range comprising of rowing boats, loch ﬁshing boats and fast ﬁshing boats, all built by hand to with stand the rigours of both the private and hire markets with boat customers throughout the UK. 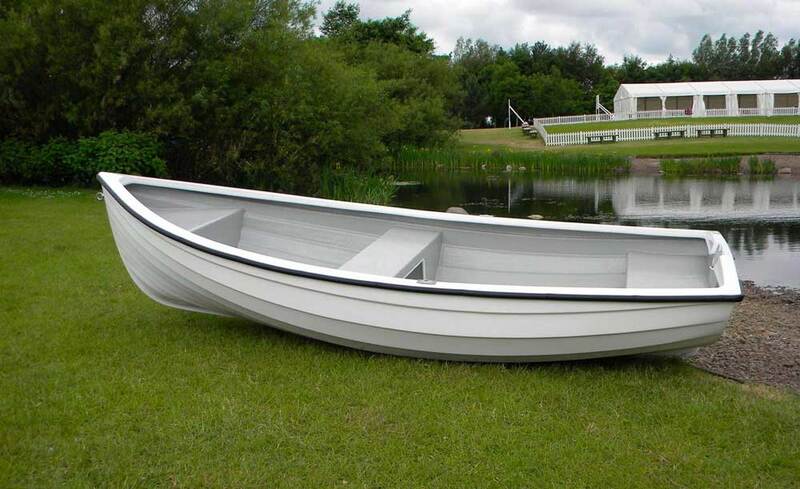 We exhibit our boats at various shows across the UK throughout the year – eg Royal Highland Show, Ingliston, Edinburgh. Southampton Boat Show and Caravan show in Glasgow and Birmingham. Highlander Boats policy remains a simple one of building a quality product and not down to price. To this end all Highlander Boats are built using exclusively with Lloyds approved resins and ﬁrst quality materials throughout. 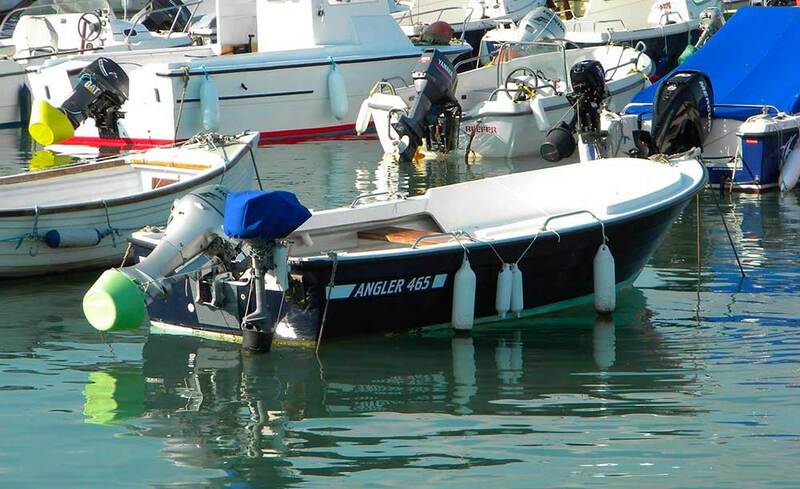 All of the boats in the range can be purchased on their own or as part of a package. Highlander Boats are pleased to supply a wide range of outboard engines to power our boats and can offer recommendations for the most suitable product for their customers particular application. 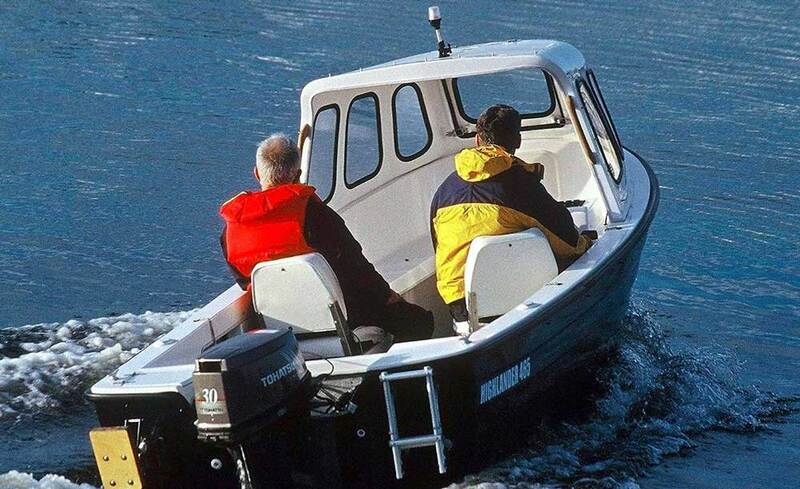 The company highly recommends Tohatsu outboards which we have been supplying to customers for over 20 years, as part of the Nissan group of companies they offer great value for money as well as being built to a very high standard and are backed by the Tohatsu team at Lymington as well as a full dealer network. 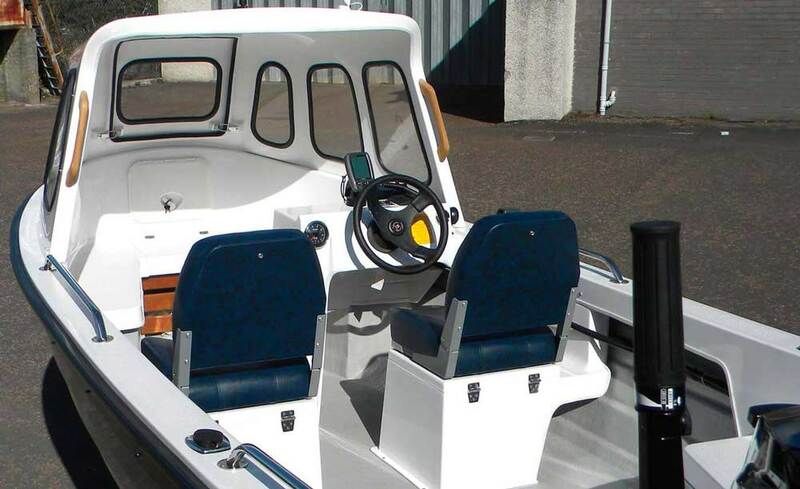 In addition Highlander Boats can supply Parson Outboard which offer an alternative for customers on a budget. 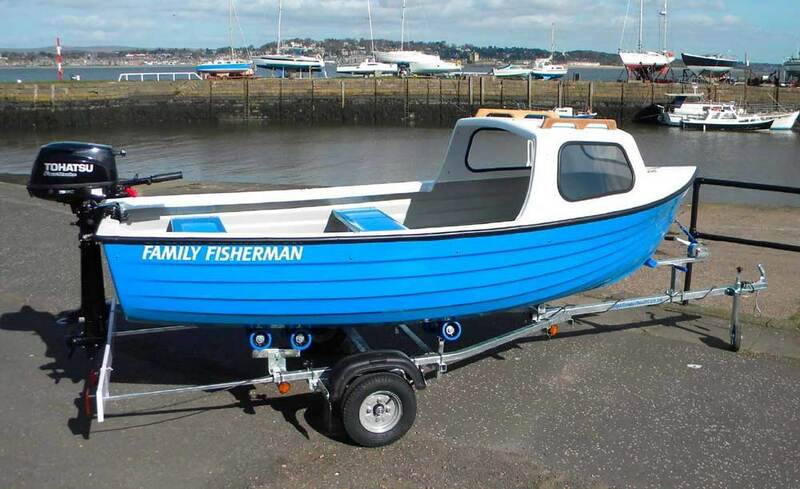 All of the companies after sales work and boat repairs are carried out by Highlander Boats sister company Simpson Marine Services Limited a division of Highlander Boats Limited. Highlander Boats Limited constantly review the specifications of their range of small craft. The company reserves the right to alter specifications as required.